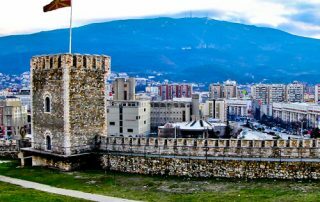 Things to do in Skopje, Macedonia (FYROM) including Matka Canyon, Skopje Fortress, Vodno Mountain and Mother Teresa - Original photos. 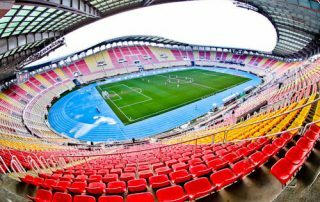 How to watch a football match at the Philip II Arena in Skopje Macedonia. Additionally, what it's like to sit in the VIP seats. 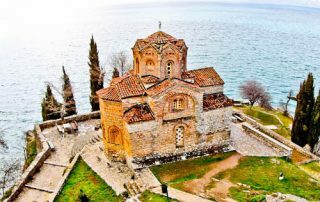 Things to do in Ohrid, Macedonia including the UNESCO Lake Ohrid, visit a winery, Instagram worthy locations, huge fortress and an ancient theater. 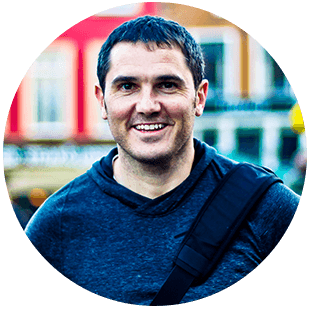 Travel Blogger review of Elsa Hotel in Skopje, Macedonia. 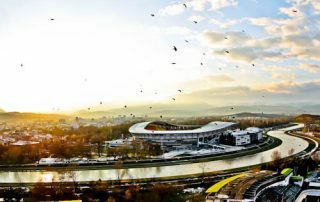 The hotel is located in the center of the Macedonian capital and you can walk to all major points of interest of the city. Travel Blogger review of the Vila Mal Sveti Kliment B&B / Winery in Ohrid, Macedonia. 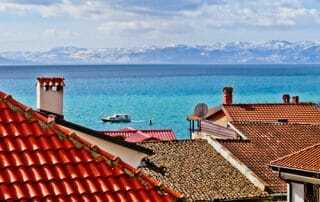 The hotel is located in the old town and offers views of Ohrid Lake.